Do you feel excitement, gratitude, and happiness for your family’s homeschool life? Or do you feel like something may be missing and would like a change? I want to share with you some steps you can take to infuse joy into your homeschool. Change Your Homeschool Each Year–Homeschool feels more like an adventure when we change it up each year. It keeps learning fresh and exciting. A couple of years ago, we went to an enlightening class at Disneyland each Tuesday with our friends. Our minds were expanded to the tremendous value of learning in non-conventional ways. Now our core group of friends schedules our activities together for the entire school year. This past school year, we adventured on field trips together each Tuesday, did co-op on Wednesdays, and sailed each Friday. In the fall, we’ll do beach volleyball and marine biology together on Tuesdays, co-op on Wednesdays and Family Nature School on Thursdays. It is fun to change things up each year. Get Out of Your House–Are you making the most of your flexibility and freedom in homeschooling by playing and learning out in the world? My whole family is so much happier when we have someplace interesting to go. The kids are far more motivated to finish their school work so we can have fun. As aforementioned, we go on a field trip each Tuesday with our friends. It is as much fun for the parents to learn as the kids. We all also look forward to hikes, beach days, park days, and other events with friends. While the kids play, us moms have a great time talking to one another. For tedious math programs with lots of repetition, can your child do every other problem instead of every single one? Does every subject need to be done daily? For instance, can you alternate Spanish and geography every other day? Can anything be combined? Are there some subjects you can learn organically without a formal curriculum? I spend a great deal of time reading to my kids at the kitchen table. We keep dry erase maps on the wall (a friend keeps her maps under plexiglass on the kitchen table). As we go on our literary adventures, we cover all sorts of geography. There is no need for a separate geography curriculum with the organic way we learn. Is the computer-based learning program you are using effective? Make sure you have selected a solid program if they are spending time on that. I have found many of them to be a waste of time with a lot of fluff or not synced up to the child’s level. If it is not a good use of time, consider cutting it and engage in hands-on learning instead. Is any part of your child’s curriculum making them cry on a regular basis? In most cases, I’d say ditch that book. I know it is hard because you spent money on it. However, it is not creating a love of learning and may be damaging your relationship. Research and find something else he enjoys more. Sometimes there is an undiagnosed learning disability. What can be done in the car en route to field trips and other activities? My kids read a lot in the car. Some kids do their math and others listen to audio books while riding. This is a wonderful time to listen to Story of the World history CD’s. Evaluate about some ways you can restructure your schedule so you can get our earlier in the day enjoying the world. When you consider what type of learning is most memorable, it is not sitting at the kitchen table or desk doing workbooks. It is hands-on learning out in the world. It is creating and collaborating. It is hearing from people who are passionate about something share their knowledge with you. Yes, there is great value in spending time in academics. However, what can be cut from your child’s workload for other types of more memorable learning? Be Deliberate About Building Your Homeschool Tribe–During my first year of homeschooling, we were meeting with three different, unrelated groups each week. I realized we weren’t going to have deep relationships if we continued on that path. I asked my kids which group they preferred, and they unanimously said our co-op. So, we began focusing on joining and creating activities with that group. Now, we have the most amazing group of friends. We are out together learning in such incredible ways and from fascinating people out in the world. Check out the blog post I wrote on the topic of building your core group of homeschool friends. Co-op–Joining a co-op was one of the most important things we have done. We were fortunate to have an established co-op in our area with lovely families who share our interests and values. We meet them each Wednesday for a fun-filled day of learning. My kids take classes like art and science because I don’t enjoy doing art projects and science experiments at my house. I’ve taught multiple writing and also Lego classes. It is a joyful day because we all share our talents and passions to create wonderful classes for our kids. The friends we have made at co-op are the same ones we do life with throughout the week. If you don’t have a co-op in your area, then you can get with a few friends and start one. If you don’t know many homeschool families, is there a Facebook page with homeschoolers in your area? You could share your idea of starting a co-op and see who else may be interested. We don’t have to spend several weeks each September relearning what we already learned. In my view, that is a waste of time, and I’d rather use that time doing other things. We use a lighter schedule during the summer and primarily keep up with math, reading, and writing. Frankly, I don’t enjoy being out as much during the summer when places are hot and crowded. During the school year, the weather is nicer, parking is abundant and our favorite places often empty. My kids still keep some type of structure for those relaxed summer days. I hear some parents talk about their kids’ bickering during the summer. We don’t see that too much at our house. We still take off certain weeks of summer for camps, vacations, etc. Year-round schooling takes pressure off of me during the school year to really enjoy all the opportunities available to us year-round. Relax Your Housecleaning Standards–Are you meticulous with your house? Do you spend a lot of time tidying and cleaning? Do you jump on your kids often when the house is not looking up to your high standard? In my opinion, you can relax. I don’t think too many people will look back on the years with their kids and be glad they spent so much time cleaning and being uptight with them. Rather, they will look back at their laughter and memories. I say a messy house is a sign of living life to the fullest. You know the saying: “If Mama ain’t happy, ain’t nobody happy.” I have found that most of us homeschool mamas are much happier when we are outside of our house learning together in the world with our kids and friends. It makes us such a joyful, adventurous, and grateful group of families. How do you add joy to your homeschool? Please let us know in the comments below. The state of California offers me, a homeschooling parent, $2600/year in educational funds for each of my kids. I, along with so many other homeschooling families in California, have crafted a customized and well-rounded education that reflects our family’s interests, priorities, learning styles, and values. Thanks in large part to our educational funds, I believe homeschoolers in Southern California are at the forefront of 21st-century learning. We are empowered with financial resources to truly customize our children’s education. The network of homeschool vendors is huge because homeschoolers have those financial resources to pay for their educational offerings. Most families would only be able to afford a fraction of these learning opportunities without the funds. The ecosystem of classes, programs and enrichment opportunities for homeschool families in Southern California is enormous, and I credit much of that to the educational funds. With such tremendous infrastructure in place, it makes for a thriving and dynamic place to receive a 21st-century education and explore one’s passions. Personalized learning is all the rage amongst education circles these days. Homeschoolers have been doing this for years. With educational funds, it makes it even easier to facilitate a top-of-the-line education for our kids. Curriculum–Amazon and Rainbow Resources are two examples of curriculum vendors. The options and combinations seem almost endless allowing for a wonderfully customized curriculum. One-hundred Percent Personalized Curriculum–We can use any method or program of our family’s choosing. I select the mix of curriculum that fits each of my kids’ needs and am free to change it up as needed without permission from anyone. Here is what we do for math. Faith-based materials can’t be purchased with state funds. Some people use funds for core classes like math, language arts, etc. The parents can choose the teacher and program that best fits their kids’ learning styles. I prefer to use our funds on experiences and activities. I expect as my kids move into middle or high school that I will begin to use some of the funds for writing and math classes. For now, however, my children are thriving academically, emotionally, and socially. My 10-year old son’s blog and my 9-year old daughter’s blog offer a glimpse of our incredible homeschooling lifestyle and educational opportunities in SoCal. If a child or family is fascinated by a subject, then it is our option to linger in it and dive deep without making sure we are hitting all the quick and shallow standards of public school. This creates passion and love of learning. There is no state-mandated curriculum. One of the benefits of homeschooling is instruction is individualized. If a child learns quickly then s/he can jump ahead. For example, my oldest two kids are above grade level in virtually every academic subject freeing them up to move at an accelerated pace. This is not usually an option in conventional school. Additionally, kids that do not learn as quickly are able to slow down until they understand it without being made to feel dumb. One nice thing about homeschooling is most of the kids have no idea at which rate their friends learn math, read books, etc. Instead, they are learning together joyfully on hikes, field trips, in science classes, etc. We are also part of a weekly homeschool co-op with about 60 families. Parents volunteer their gifts and passions to teach classes so we only pay for supplies. We do not use funds, and about half the families file independently and not with a charter school. I teach Blogging and 21st-Century Skills. My kids take art, science and other classes here with other wonderful homeschool families. Thanks to educational funds for homeschoolers, a tremendous infrastructure of classes, programs, and opportunities have emerged allowing kids to learn and thrive in such diverse ways that best fit their needs and passions. The funds have created a competitive market that has dramatically amplified opportunities. Standardized Testing–Since we accept funds, homeschool charters prefer that we take the same standardized test in the spring that public school kids take beginning in third grade. I have no problem with that. I do not spend any time teaching to that test, and the charter school does not put any pressure on us to do so. So far, my kids have been in the top tier of each standardized test we have taken. Many of my homeschool friends also score much higher than their district school counterparts. I find this interesting considering how much time public schools spend teaching to the test, and we spent none. Rather, we focus on a well-rounded, quality education. I am not pressured to teach to the test at all. There is no reward or repercussion for test results. I tell my kids to do the best they can on the tests and advise them they will probably see some unfamiliar language and terminology. We do not follow a Common Core curriculum or use classroom lingo. If they don’t know an answer, they can use process of elimination. Last year’s standardized tests only took about 3 hours total and was divided into two days. Our wonderful teacher surprised them with homemade lollipops with encouraging notes attached for their hard work after test completion. We also went to her house a few days later to watch her ducklings hatching. We witnessed a duckling peck its way out of its shell. She is an example of the many caring teachers who support homeschool families. You simply get the results in the mail. It is your choice to open it up and look at the results. Some parents choose to not look at the results because they do not believe in standardized tests for their kids. Most people will need to take tests throughout their lives. I see this as good preparation and a partial barometer of how we are doing. However, I don’t believe those tests account for many important successful life skills or for the uniqueness in each of our children. Many brilliant kids don’t test well. Meeting With Your Assigned Credentialed Teacher–We are required to meet with our assigned teacher approximately once every 3 weeks. However, some families who prefer additional support may be in contact with their teacher more often. Samples are required. Each student is required to provide one to several samples per month depending on the charter school. All samples must be secular. I have always worked with supportive teachers who have trusted me with my children’s education. They are simply there as a facilitator and to offer guidance for those families who need it. I have occasionally heard of some demanding teachers. In that case, a family simply switches teachers or changes to another charter school. It is the free market in action. Amazon and Rainbow Resources are my two favorite vendors for curriculum. The prices and selection are great, and shipping with Amazon is fast. 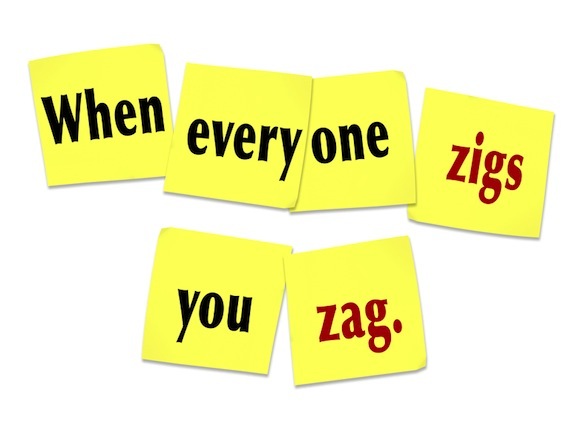 We can create thousands of combinations customized to our children’s learning styles and abilities. I know some people vehemently opposed to accepting educational funds from the government. In California, you have the option to stay independent instead of receiving charter school funds. However, sometimes they give out false information and say you can’t teach what you want if you accept funds. This simply is NOT TRUE. I customize my kids’ education every bit as much as a family who does not join a charter school. I find their misinformation confuses new homeschool families. If I ever felt dissatisfied with the charter school, I have the freedom and choice to file independently again. I have multiple friends who were fiercely independent and resisted joining the charters. However, when some amazing opportunities opened up two years ago for students in my charter, they signed up. They are enjoying their activities and extra funds and have not looked back. In summary, the educational funds have played a tremendous role in creating a huge infrastructure for homeschool families. I am in charge of what and how my kids learn. If I ever believed it impacted my ability to teach what I wanted, then I would simply go independent. I am so excited and hopeful that homeschooling families across America will also have the opportunity to receive educational funds, if they desire, and see an even greater expansion of the homeschool infrastructure and learning opportunities. I would love for Secretary DeVos to come to Southern California to see what has been built for homeschool families–in part due to educational funds. It is learning for the 21st-century at its finest! Note: I have updated this post to answer readers’ questions and provide deeper explanations for you. Where Do Your Homeschooled Kids Learn? I am thrilled, as homeschoolers, we have so many different opportunities to learn in such a wide variety of environments. My favorite learning takes place in the great outdoors! Additionally, as educational facilitators, we can pick the best teachers for our kids. They are not confined to one teacher in the same classroom for an entire year. With our naturalist, for instance, we have one of the premier teachers available to learn about nature and ecological responsibility. I love the tremendous diversity in learning opportunities we engage in together with our friends. Homeschoolers, let’s make sure we are not squandering our wonderful freedoms and benefits in homeschooling to simply stay at home all day recreating school. Yes, do your math, reading, writing or whatever academic subjects you feel are critical. Ditch what “school work” does not seem to add value in exchange for real edification out in the world. Learn from people who are passionate and want to share that with your kids! By giving your children such tremendous exposure, they will have a greater ability to understand what they are passionate about in addition to a fine education. In my experience, we are a much more joyful family when we are out learning together and not sitting at home all day doing school work. Enjoy your journey and carpe diem! My biggest piece of advice for new homeschoolers is to find your tribe. Homeschooling can be one of the most joyful and rewarding experiences for a family. It can also come with frustrations and challenges. A group of friends to do this beautiful life with, as well as encourage and guide you, can make a world of difference for your family. When I first began my homeschool journey, we scattered our days with different groups and programs. While I strongly believed the academic opportunities were superior for homeschoolers than in conventional schools, I did not feel satisfied I was building a true homeschool community for my family. It was also important to me that my kids developed the deep relationships that I experienced growing up. As a result, I became extremely intentional about building a tribe. Now, I could not be happier than I am with our magnificent group of families with whom we do life. I love our joyful journey together, and I know they do, too! Homeschoolers are a passionate, generous and energetic bunch. They are more than happy to help you with curriculum or any other frustrations or struggles you may encounter. There are many wonderful groups you may want to plug into. If you don’t have a group in your area that is a good fit, I suggest you build your own. Establish friendships with JOYFUL families. Choose your friends wisely! Seek out a group of friends who share your priorities. Whether it be faith-based, activity-based such as a nature group, service-based or anything else that is important to you, I strongly recommend you find a group where the parents share your priorities and values. You will help each other out as you bounce ideas off of each other. Also, having a group of like-minded ladies is a great support to lift each other up during those rough days. Sheryl Sandberg, Chief Operating Office of Facebook, said, “In the deepest sense of the word, a friend is someone who sees more potential in you than you see in yourself, someone who helps you become the best version of yourself.” Your friends will help you to be the best parent and educational facilitator you can be for your kids. Set up events for families you want to develop deeper relationships with. Plan field trips, park days, Super Bowl parties, Easter egg hunts and more with families with whom you would like to spend more time. Field trips are a great way to find families who have similar interests and kids of similar ages as yours. As some of these same families come to the different events, they will connect with one another developing your homeschool community. Establish friendships with joyful families. Choose your friends wisely. I suggest you hang out with families whose children are a positive influence on your kids. The kids in my homeschool circle are kind, get along well with their siblings, enjoy learning and are respectful to adults. I love Jim Rohn’s famous quote: ”You are the average of the five people you spend the most time with.” As a mom, you will be encouraged and gain wisdom from the right choice in friends. From the beginning, we’ve been homeschooling together. Create or join a co-op in which different parents use their passions and gifts to teach the kids. We were fortunate to have an amazing co-op in place, and I met some of my best friends there. Co-op is a day that is as much fun for the moms as it is for the kids. While the kids are learning, the moms have the opportunity to connect and chat. I could have chosen a drop-off program on that same day on a different campus. While it would be nice to have time to run errands alone and some me time, I would miss out on the bonding with my fellow homeschool mamas. I learn so much from other homeschool moms each week as I listen to them and ask questions. We have a great time! I leave each co-op feeling reinvigorated. Look for friends with similar lifestyles and educational philosophies. I don’t know any two homeschool families that educate in the same way. One of the benefits of homeschooling is the ability to customize your children’s education. However, your questions about curriculum, scheduling, etc. can best be helped with someone from a similar educational viewpoint. On the flip side, I see value in having friends with a variety of homeschool styles and philosophies. I learn so much from each one. Find families with kids near your kids’ ages. Our best friends have kids around the same ages as our own. We still get the benefit of mixed ages interacting because most of our activities are done with family units. However, my kids connect the most with their friends who are close in age and the same gender. Mom’s Night Out–Get out with your friends! One of the best ways to recharge is to share an evening out, afternoon at the beach, morning hike, a couple of hours over coffee or whatever works for you and your gals. It doesn’t have to cost a dime. The time away from kids is a great time to get to know moms on a different and more intimate level. Mom’s Night Out overlooking the ocean! I can honestly and enthusiastically say that I love homeschooling, and I love our family’s homeschooling friends. I feel so blissful about our lifestyle of learning with them. I hope to have shared ideas that are helpful to some of you. Do you love your homeschool community? What are some of your tips? Please share! “I could never homeschool. I don’t have the temper for it.” We’ve all heard this many times before. As I contemplate this recurring comment, it makes me wonder if it is actually the opposite of what many people think. Perhaps it takes more patience to have a child in conventional school than to homeschool? Morning Rush–In homeschool, you don’t have that morning rush to get out the door and be on time to school. When we were in public school, I remember hollering at my kids almost daily to hurry up and get moving so we were not counted tardy. Now, we have a nice breakfast together with lots of read-aloud and discussion time. I love it! Afternoon Homework–Many kids come home from conventional school wiped out but are then required to complete homework on top of their extra-curricular activities. My friend, who recently made the switch to homeschool, told me how she battled with her son nightly to complete his homework, but he was just fried from the long day at school. Now that he homeschools, he chooses to wake up and start his school work at 6:45 each morning so he can get it done early and enjoy free time. She and her husband are shocked at how eager he is to complete his work without any battles. Sibling Relationships–Most of our homeschool family friends have siblings who really enjoy each other and get along well. My hypothesis is because they do so much life together. They have so many meaningful experiences together out in the world. They know one another’s friends well because we are experiencing the world with them, too. We read aloud books as a family and discuss them. Parents also invest a lot of time in character training. I don’t know the precise reasons homeschool kids typically get along so nicely with their siblings, but it is very obvious and impressive. I hear parents of conventionally-schooled parents talk about how their kids fight a lot, and it really comes to a head over the summer. While my kids get into a spat every now and then, it is usually harmonious and playful. 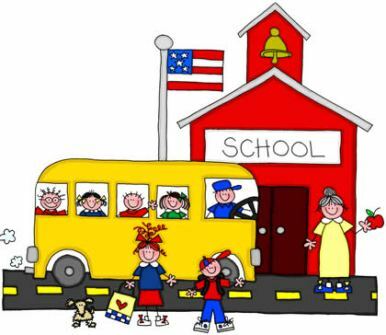 Kids with Different School Schedules–Last year, my friend had 4 kids with 4 different school schedules: Kindergarten, 3rd grade, 7th grade and 9th grade. This was a lot of work on her part to drop off and pick up at different times and coordinate carpooling. I don’t have to worry about this as a homeschool parent. My kids do their work in the comfort of our home, and then we are out the door experiencing the world together as a family and with friends! Busywork–Since I select the materials for our homeschool, we are not bogged down with busywork and other assignments that I do not feel add value to my children’s education. When my son was in public school, the homework was so easy, but it was excruciating to get him to complete it because it was so boring and redundant. I’m also glad we don’t have to spend time on diorama boxes and other such projects. Curriculum–I don’t have to get frustrated because a curriculum does not fit my child’s learning style. As a homeschool parent, I have the flexibility to change it up. I don’t need approval from a teacher, principal or anyone else to make this change. Attitude–Jim Rohn famously said, “You are the average of the 5 people you spend the most time with.” My children’s homeschool friends are some of the best kids you could expect to meet. They are kind, smart and excited to learn. They are full of smiles and laughter. I don’t see any type of bullying or attitudes that I hear about with conventionally-schooled kids. I’m thankful my children are growing up with these kids. Time with Kids–Some people can’t wait to get their kids back in school. Don’t get me wrong. I enjoy some down time. 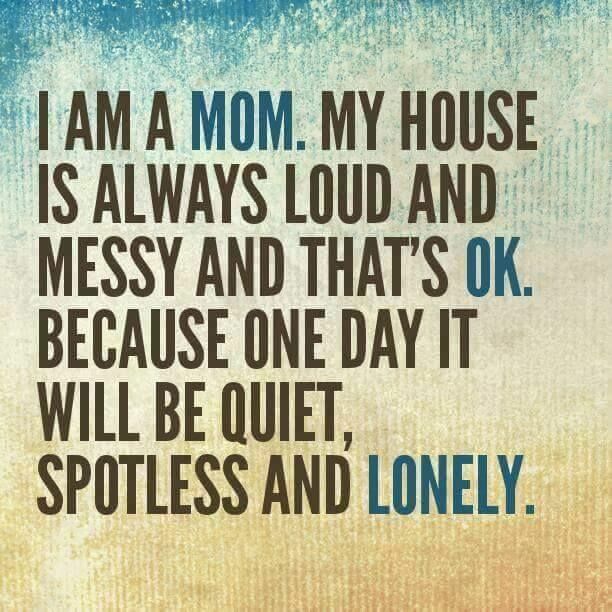 However, I like being with my kids. I am thankful to have them for the freshest and best part of their days. Their most alert and cheerful time is from around breakfast until after lunch time. I have not shipped them off for these special hours. I am not met with a tired and overstimulated kid when they return to me in the afternoon. I am not fighting with my exhausted kid to complete homework. Rather, we are usually done with all our school and are already out exploring the world together with friends when the end-of-day school bell rings for most kids. Are you considering homeschooling your kids? If you are in public school, there usually isn’t a wait list to return if you try it out and it is not a good fit. I say it is worth the gamble because making the decision to homeschool could be one of the best and most important choices you will make in your lifetime. 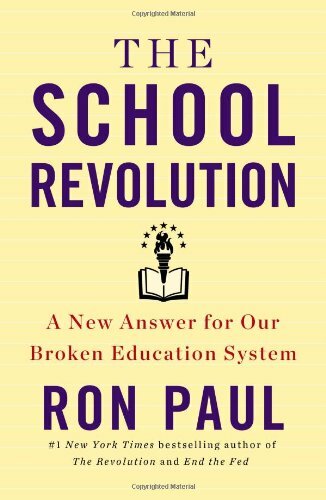 In his book, The School Revolution, Dr. Ron Paul lays out the case for homeschooling and why now is the best time to get started. This book has been the most influential on my thinking and homeschooling journey. 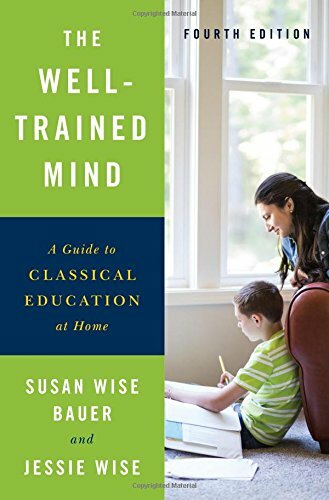 The Well-Trained Mind by Susan Wise Bauer and Jessie Wise is another excellent book to read while considering homeschooling. It was the first book about homeschooling I ever read as I contemplated the change from public school. While I do not follow a classical model of education, it gives you many great ideas as well as curriculum suggestions based on grade level. In an election season where we have seen numerous examples of corruption, narcissism, poor ethics, and megalomania, it reinforces for me that I am so glad I have taken control of my children’s education back from the government. I trust that my husband and I know what is better for our children’s education than people with power, money, and agendas at stake. I am excited and grateful to be part of the contemporary homeschooling movement. We are a grassroots movement of families creating innovative, entrepreneurial, and customized educational programs for our children. In addition to solid academics, our kids are learning in such a wide variety of environments that just can’t be replicated with brick-and-mortar schools. The joy and creativity bursting from them is powerful and gives me such hope for the contributions they will make in the future for our world! Innovators and creators are in great demand in this 21st-century economy!